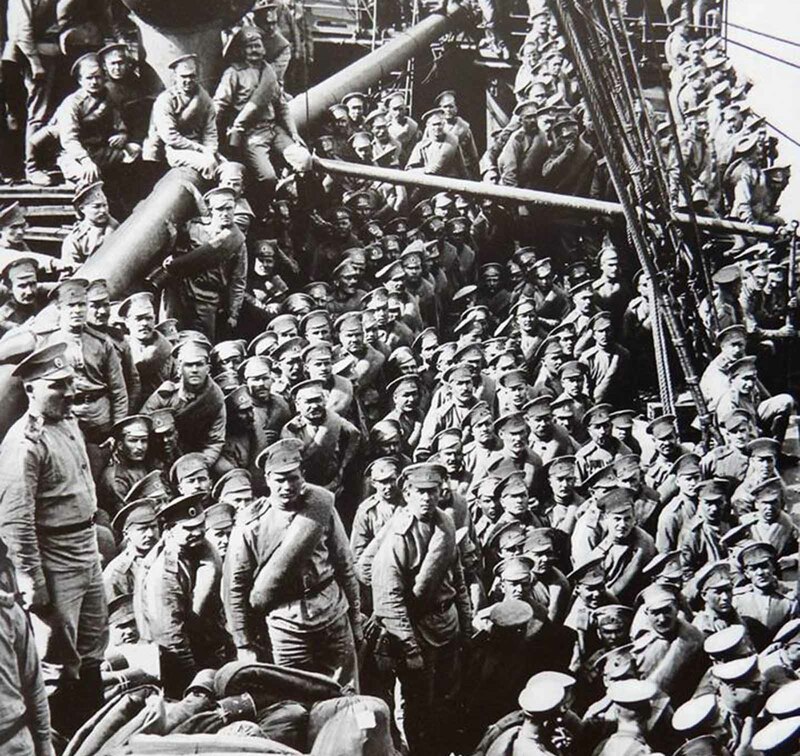 France had asked Russia for help on the Western Front, and Russia responded by sending nearly 45,000 soldiers. 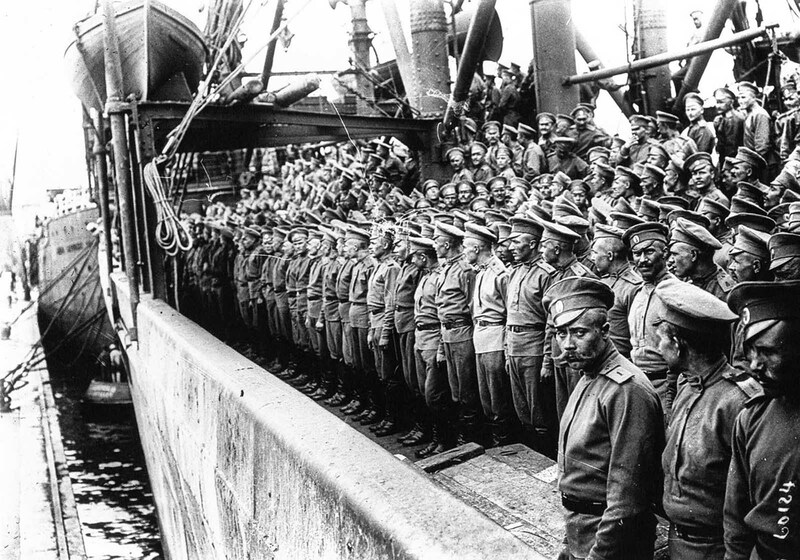 The Russian Expeditionary Force was a World War I military force sent to France by the Russian Empire. In 1915 the French requested that Russian troops be sent to fight alongside their own army on the Western Front. Initially they asked for 300,000 men, an absurdly high figure, probably based on their assumptions about Russia’s “unlimited” reserves. The French proposal wasn’t received with much enthusiasm by the Russian High Command, but Czar Nicholas II expressed his desire to send the troops to France. The Chief of State, General Alexeyev, proposed a compromise saying that Russian soldiers would be sent under the following conditions: the soldiers would be sent in consolidated units to be overseen by Russian officers who would be working under the French High Command. These troops would be armed by the French and transported to the battle site by the French Navy. 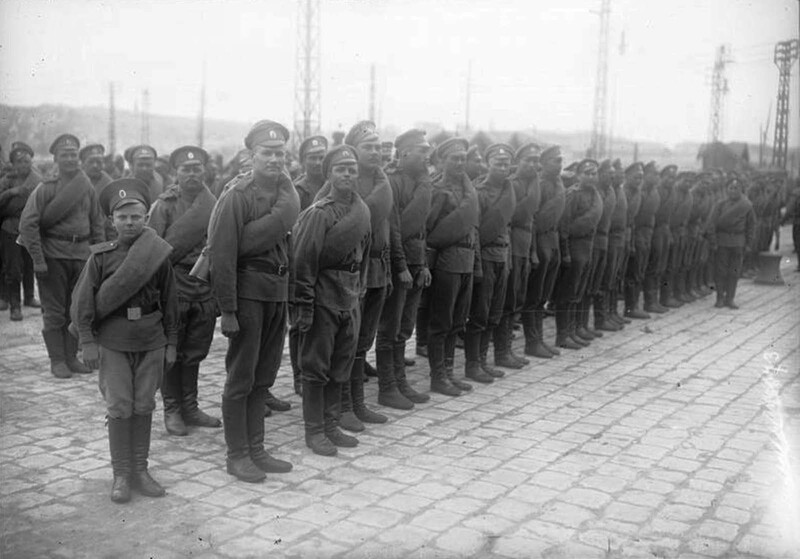 The 1st Russian Special Brigade formed in January, 1916 under the command of General Nikolai Aleksandrovich Lokhvitsky. It did not consist of regiments already in existence but was made up mostly of drafts from various reserve units incorporated into the newly formed 1st and 2nd Regiments, from Moscow and Samara respectively. The 1st Special Brigade totaled 8,942 men. It left Moscow on February 3, 1916 and arrived in Marseilles on April 16 of the same year. 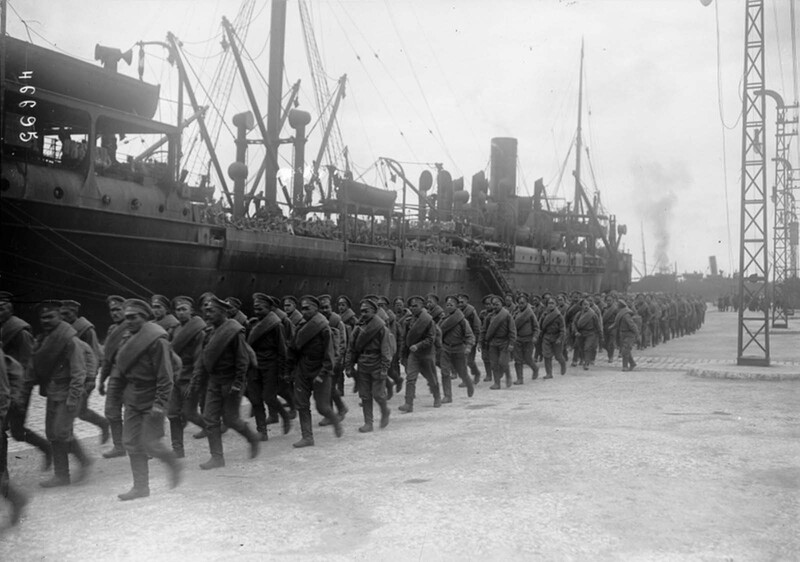 A Second Special Brigade was also sent to serve alongside other Allied formations on the Salonika Front in northern Greece. 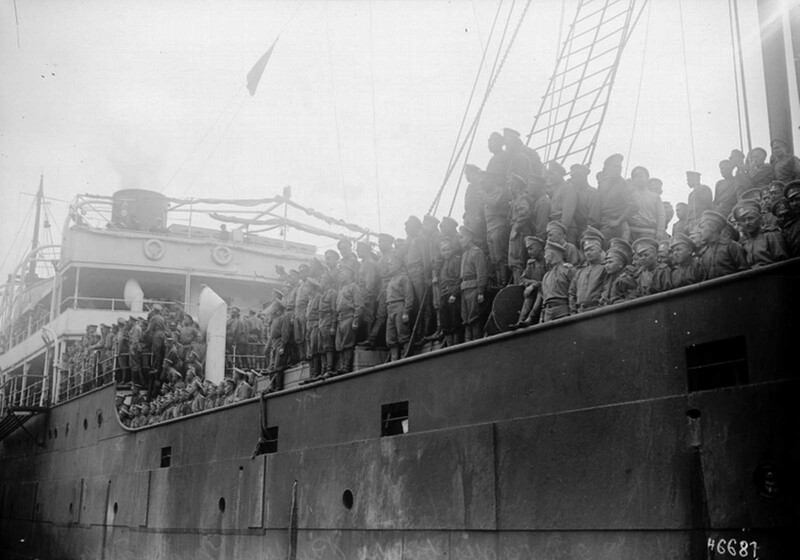 The Russian troops arriving in Marseilles with the Himalaya steamship. These troops would be armed by the French and transported to the battle site by the French Navy. The 1st Russian Special Brigade formed in January, 1916 under the command of General Nikolai Aleksandrovich Lokhvitsky. The 1st Special Brigade totaled 8,942 men. After the October Revolution and subsequent withdrawal of Russia from the Allies, the Russian troops were looked upon with distrust and relegated to labor companies and internment camps, primarily at Camp Militaire, near La Courtine. The Russian soldiers in 1st Brigade camp began questioning why they were fighting for the French at all and mutinied. The 3rd Brigade camp was still led by Russian officers (notably Colonel Gotua) and was used to help suppress the rebellious one. Those Russians still committed to the defeat of Germany were reorganized into a French army unit known as the Russian Legion (Légion Russe des Volontaires) and sent back into action. Placed into the line with a French Moroccan contingent, the Russians continued to fight fiercely. In fact, during the German Spring Offensive, the unit suffered 85 percent casualties. The remnants of both the Moroccan and Russian outfits were integrated into a single unit that continued to serve until the end of the war. By the armistice, there were fewer than 500 Russians in the French army. After the war, with their Czar dead and communists running much of their homeland, many of these veterans stayed in France.